EduPristine>Blog>How to get into Project Finance? Frankly, I had no clue what this term means. Yes I was in my first year of MBA in finance from a reputed B School and then I came across this term. If you are lucky and are studying in good B school, you will find an elective like this; nonetheless, I observed this in context of jobs. Typically, if you are a finance enthusiast MBA in your sophomore year, then you follow some seniors of yours and when they get placed in a Bank you ask-So what is going to be your profile? The Answer was-I am placed with Project Finance Group of XYZ Bank. Voila. Then I calculated backward and found myself asking this question: How to get into Project Finance? How to finance a project? For scoring a 100 you may need: 1. Good books 2. Good tutor 3. Sufficient time to practice. The first 2 things generally come with a price tag. If you have sufficient Reserve and Surplus you may not need external finance, however if you require some capital to execute the Project you go to a Bank with your business plan and then you meet a guy who asks you questions about you plans, its viability, its repayment ability and then writes a cheque. How to be the guy with cheque writing capability? Logical thinking (engineering bent of mind): Who gets into How. Previous experience in engineering company which makes something big like power plants, oil rig, highways etc. Modelling internships (equity research)/courses from EduPristine etc. 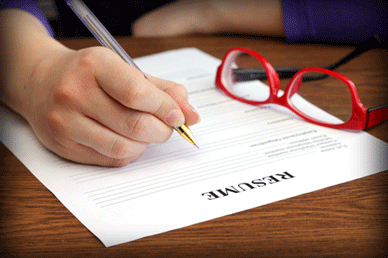 What your resume should tell? You resume should tell: A combination of nice-to-haves and must-haves which basically boils down to one thing that you can be trusted upon for calculating Debt Service Coverage Ratio DSCR. No kidding. In first 2-3 years of you role involves multiple times you telling –‘Boss, DSCR are tight/not comfortable’. So beg-borrow-steal bullets to beat the next guy’s resume, because all the resumes have a single objective: To get you interview call. How to get an interview call? In utopian world, a bank with PFG department arrives in your college campus and interviews you. But practically, you need to spread your resume with every pigeon you see on your window. Go to LinkedIn, make a complete profile, do homework who are the prospective employers, search alumni data/linked in for relevant people, network with them and push your resumes to PFG guys there through reference. What you should tell in your interview? Financial modelling: Who can model a cash flow from a project, can calculate Debt service coverage ratio etc. Understanding legal matters: Who can differentiate between mortgage and hypothecation and can ring a lawyer with confidence at any time of the day. One key word to use in interview is –“comfort”. If you use this interview then it necessarily means that you have been in the shoes of the interviewer since only the wearer knows the discomfort of pinching of new shoes. Pun intended. In banking parlance Comfort non literally means-“assurance of getting your money back”. Never be wage. Always use numbers to quantify your answers. Previous 9 Easy Ways to Generate FREE Traffic !! !